Innovation isn’t an option for Samer Dessouky in his transportation engineering research at the University of Texas at San Antonio – it’s an integral part of solving practical problems. “As time went by in my collaboration with TxDOT [Texas Department of Transportation] engineers, we found there is a lack of resources to keep up with the demand for maintaining the pavement infrastructure,” Dessouky said. Those new directions, those innovations, have produced impressive results. 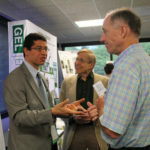 Dessouky, Ph.D., P.E., F.ASCE, and his team have submitted two energy harvesting pavement installed technologies in the first two iterations of ASCE’s Innovation Contest, and each entry has earned recognition. This year, UTSA’s PE-Cool System, a pavement-energy harvesting technology, received the Overall Best New Concept Award, as selected by the panel of Innovation Contest judges. 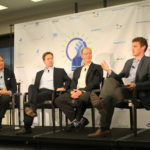 Dessouky and the contest’s other winners will present their innovations before an audience of industry leaders from various business sectors at a celebration event, June 20-22, in Reston, VA. The work began two years ago. How could pavement roadways become sustainable? Dessouky looked at ways to harvest energy from the pavement. 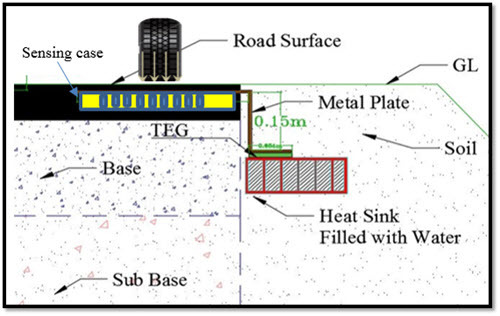 The group developed a method of using modules embedded in the road to capture energy from vehicle loads. Last year, this technology earned the Most Innovative Award in the Green Engineering category of ASCE’s inaugural Innovation Contest. More recently, Dessouky had been researching energy harvesting in rural areas. The answer, again, lay in the pavement itself. 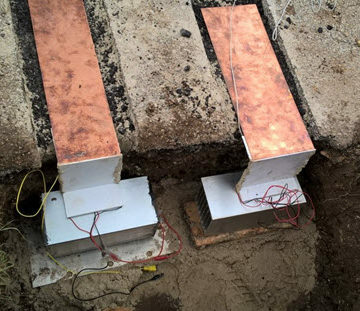 The UTSA group, including then-graduate-student Utpal Datta and A.T. Papagiannakis, Ph.D., P.E., F.ASCE, developed a small thermal electric generator that, when installed into the ground, turns the solar heat absorbed by the pavement into electric power. The team’s prototype provides the additional benefit of potential cooling the pavement surface at the same time. 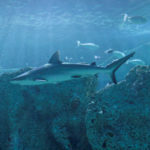 The Innovation Contest recognition provides Dessouky’s group a platform from which to spread the word about his research, while also forging potential new connections for future advancements. All of which contributes to Dessouky’s ultimate goal – providing the public with safer roads. “My desire is to come up with solutions that reduce these crashes and fatalities,” he said. “As a transportation engineer, I have to find solutions to this nationwide problem. “So this is a great motivation to me. It comes with challenges. I cannot do it myself. I need collaboration with other engineers and material scientists in other disciplines. That’s a challenging part of it, but potentially very rewarding.